Miss Print: Fat Quarters: Small Fabrics, More Than 50 Big Ideas + a Giveaway! Fat Quarters: Small Fabrics, More Than 50 Big Ideas + a Giveaway! Hey y'all! So, as usual, over the past while I have been up to some secret antics and I finally get to reveal one of those secrets! I'm in another book and I'm so excited about it! 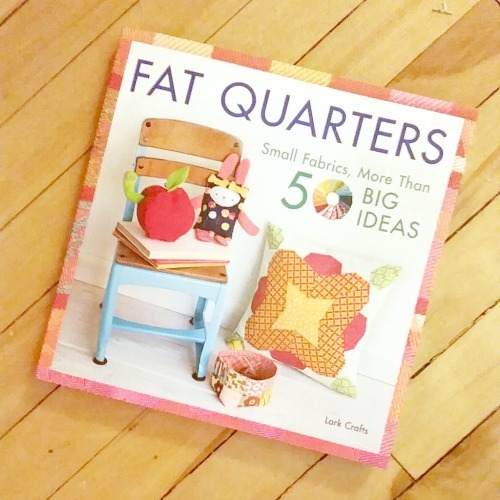 Fat Quarters: Small Fabrics, More Than 50 Big Ideas, edited by Lark Crafts, features over 50 fat quarter friendly projects. Many of the contributors are well known in the craft world and I'm super-happy to be among them. I have three projects in this book and I can't wait to share them with you. This is my Arrowhead Clutch. It requires three fat quarters and features paper-pieced triangles. I absolutely love the way they photographed it for the book - it looks so fancy! I used fabrics from Indian Summer by Sarah Watson and Kaufman Quilter's Linen. This is my Flex Frame Sunglasses Pouch. It requires two fat quarters and is super-easy to make. For this one I used fabrics from Briar Rose by Heather Ross and Architextures by Carolyn Friedlander. I've actually been using this ever since it came back because I dropped my iPod and now the screen is cracked. See, it works for so many things! And last, but not least, this is my Cheers Coaster Set. I love these so much, I can't even tell you! This pattern requires four fat quarters and features a little bit of sketchy applique as well as a few lines of quilting. For these I used the same fabric from Architextures, as well as Constellations and Pearl Bracelets by Lizzy House. Now, I bet you want to know about the giveaway, right? Well, here's your chance to win a copy of the book! 1. Leave a comment letting me know about your favourite use for fat quarters. That's it! Two easy-peasy ways to enter! 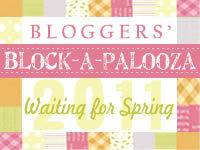 I will close the comments in a week (March 25th) and announce the winner here on the blog. International entries are, as always, welcome! Also, please remember that I have comment moderation enabled so if you don't see your comment right away it just means that I haven't had the chance to approve it yet (duplicate comments will be deleted). I follow your fabulous blog on Bloglovin! I love using fat quarters to make scrappy quilts since I'm a newer quilter and don't have much variety in my scraps yet. Congrats on being in the new book! I buy fat quarters so I can have a larger variety of fabrics for scrappy blocks. Looks like some fun projects. I usually use fat quarters for applique or table runners. I use fat quarters for small projects and scrappy quilts. I follow your blog via email. Love it! My favorite uses for FQS are scrappy bee blocks and zip pouches! I'm also a follower via Bloglovin'! Fat quarters give me a good variety and aren't too costly. A big bundle can make a quilt or you can use one or two for a small project. I use most of my FQ's for quilts. I use fat quarter to plump up my fabric choice on scrap quilts. I love fat quarters for sewing pouches, sew together bags, and mini quilts for my sewing room. I love to use fat quarters on smaller quilts as well as pillows and bags! I follow you by email! Love your designs! Great Giveaway Thanks. Besides collecting fat quarters I love to make zippered pouches and mini quilts. I like getting fat quarters to add variety to my stash and my quilts. Your projects look really fun! Hi Kaye! I follow on Bloglovin'. I really only buy fat quarters anymore. I use them for everything: mini quilts for swaps, zipper pouches, and bee blocks to name a few. They are my favorite cut! Congrats on the books...love the pouch! I use fat quarters for everything! I love having a variety of color and fabric on hand! fat qtrs are my fave cut of fabric. you can do so much with them. I love making scrappy quilts and FQs are a great way to get lots of different fabrics to use. My favorite use for fat quarters is obviously collecting and stashing them! Must be waiting on a good book to do something with them! I use fat quarters for smaller projects like bags, etc. It's a great way to sample lots of different prints! Thanks for the chance at the great book! I follow you by email. Thanks for the chance at this book - looks like lots of great gift ideas! My favorite use for fat quarters is quilting! I use them a lot for purses and for baby quilts. I follow you via bloglovin. Love your blog. I love FG's for small quilts or quilts with lots of different fabrics in small bits. I use fat quarters for different things. I've made small hand bags, ballet slipper bags for my granddaughters, quilts, wall hangings. I use FQ for everything. Blocks for quilting bees, do good stitches, bags, purses, quilts! I use fat quarters for quilts, bags and other small projects. I follow your blog with email. I use fq's for quilts, bags, scarves... hmmm, just about everything! I like to add them to quilting projects or make small gifts. HI,, my favorite thing to do is to buy them>LOL! I know that's not what you meant! I use them for piecing of course; and also leave them whole for pretty backing designs! Thank You for sharing ! I use fat quarters for small quilts and home decor items, like a beautiful spring table runner right now. My favorite thing to make with fat quarters is wall hangings. Thank you for the chance to win! I use Fat Quarters for Quilts, Purses, and pouches! I follow by bloglovin now! I tend to use fat quarter bundles to make quilts. I really need to make that sunglasses case. I love scrappy quilts of any size so mainly use them to get a good mix of fabrics in most quilts I make. 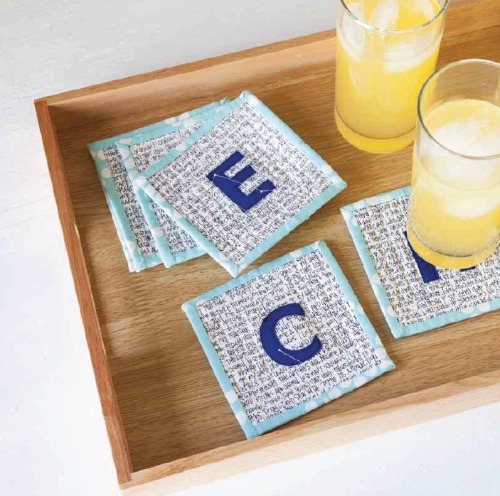 I use fat quarters to make doll quilts and I do love those coasters!!!! I usually buy fat quarters for small projects or when piecing exchange blocks and I'm not sure it is a fabric that I would love to have lots of leftovers. Looks like a lovely book-thanks for the chance to win! Fat quarters are so versatile. I'm a quilter and they are the building blocks for my quilts. I use them to make napkins and coin purses. My favorite use of a fat quarter is making a small skirt for my bitty little granddaughter!